In May I took a little road trip to visit the RV Museum and Hall of Fame in Elkhart, Indiana for an msnbc.com story about the the RV industry: Celebrating 100 years on the road. So I was intrigued when I saw a story about the 26-foot 1958 Airstream Overlander trailer being gutted and re-modeled by a group of students at Washington State University in Spokane. They’ve gutted the inside, but luckily they’re committed to preserving the trailer’s historic exterior character. 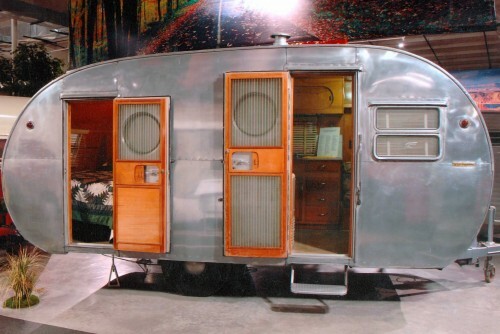 And here’s the part I’m especially excited about: this fall, when the Airstream is all shiny and renovated, the students will be taking the trailer on the road to show off their handiwork. (And party?) After that, the updated WSU Airstream trailer will be either given away in a contest or sold. To find out what happens, follow them on Facebook or Twitter.